This post originally appeared on Credit Slips on March 3rd, 2015. You can see the post here. By now we’re all familiar with a plethora of Wall Street financial acronyms, from ABSs to CDOs and CDSs. But what about MSRs (mortgage servicing rights)? Until a year ago, I had never heard of MSRs, so I was surprised to find out that the rights to collect my mortgage payment are traded on Wall Street, much in the same way mortgage backed securities are traded. And, as a borrower, I have very little control over who purchases the servicing rights to my mortgage, despite the fact that it is usually the servicer who decides whether to offer a loan modification or start the foreclosure process if I become delinquent. Borrowers can’t “shop around” for the best servicer – you get who you get (but maybe you should get upset). Does it really matter who services your loan? To date, research has very little to say about this, though ask any housing counselor who has tried to shepherd a distressed loan through the modification process and the answer will be “most definitely.” Unfortunately, most data on loan performance don’t allow researchers to identify the institution that services the loan, which makes analysis of servicer performance challenging. So other than headlines about robo-signing or dual tracking, we have few studies that systematically study servicers and the ways in which they assist distressed borrowers. My colleagues, Carly Urban and J. Michael Collins, and I recently released a Fisher Center Working Paper that explores differences in servicer behavior, to shed some light on the servicing industry. Using a unique dataset on subprime loans that were at least 60 days delinquent, we examined the modification practices of 20 large, national servicing institutions. We wanted to know whether servicers differed in the likelihood of offering modifications with interest rate or principal reductions, even for similar borrowers living in the same neighborhood. And we wanted to know whether some servicers did a better job of helping borrowers retain their homes, all other things being equal. What we found is that servicers differ dramatically in their loan modification practices and their loan cure rates. Servicers with higher cure rates performed permanent modifications on almost 48 percent of their delinquent loans, while servicers with the lowest cure rates only granted modifications to 2 percent of delinquent borrowers. Some servicers favored interest rate reductions; others were more willing to offer borrowers principal write-downs, or even offer a second modification. These differences in servicer practices led to very different cure and re-default rates for distressed borrowers, even after controlling for a wide range of borrower, loan, and housing market characteristics. Who your servicer is really does matter. We also examined whether there were differences across servicers for Black, Hispanic, Asian and white borrowers. In general, we did not find any substantive race or ethnicity effects within any one servicer, rather, the differences across servicers remained constant. In other words, if you end up with a servicer unwilling to do modifications, you’re not getting a modification regardless of your race. A more vexing question is why these differences across servicers exist, particularly with the existence of programs like the Home Affordable Modification Program (HAMP) that were designed to streamline and standardize the modification process. Unfortunately, we can’t really answer this question with existing data. We do examine differences between bank and non-bank servicers, to examine whether a servicer’s capital structure influences their practices. Adam Levitin’s work (a regular contributor to this blog and the co-author of a terrific paper on mortgage servicing) gave us that idea. We find that non-bank servicers are more likely to offer modifications, especially principal reductions. But the bank/non-bank divide is unlikely to be the whole story, and we find that differences across bank and non-bank servicers have diminished over time. What this suggests to us is that the Bureau of Consumer Financial Protection (CFPB) and other financial regulators at the federal and state levels need to be supported in their ongoing efforts to ensure greater transparency and accountability in mortgage servicing. For example, the CFPB recently implemented servicer rules which include improvements in borrower communication and disclosure, specific obligations to respond to borrower requests for information within specified timeframes, rules related to early intervention with delinquent borrowers and a single point of contact, and a prohibition on dual tracking. Future research should seek to assess whether these new rules reduce servicer heterogeneity and improve outcomes for delinquent borrowers. Without better data on servicing practices and borrower outcomes (especially over the long-term), policy-makers are in the dark when it comes to designing effective foreclosure prevention strategies and ensuring that every borrower gets fair and equal treatment. How should we consume the planet’s resources, who should bear the costs, and how, as a society, should we make these decisions? On March 5, 2015, the Institute for Urban & Regional Development (IURD) and the Institute for Research on Labor & Employment (IRLE) jointly sponsored a conference, “Reducing Inequality in a Sustainable World.” A highlight of the day was a panel of key California leaders on climate policy: California State Senate President pro Tempore Kevin de León, California Air Resources Board Chair Mary Nichols, and State Building & Construction Trades Council of California President Robbie Hunter, moderated by Carol Zabin, Chair of the UC Berkeley Donald Vial Center on Employment in the Green Economy. They discussed the expansion of climate initiatives that are now on the table in California to accelerate reductions in greenhouse gas emissions, and specifically addressed the need to ensure that workers are protected and good jobs are created in the transition to a clean energy economy. 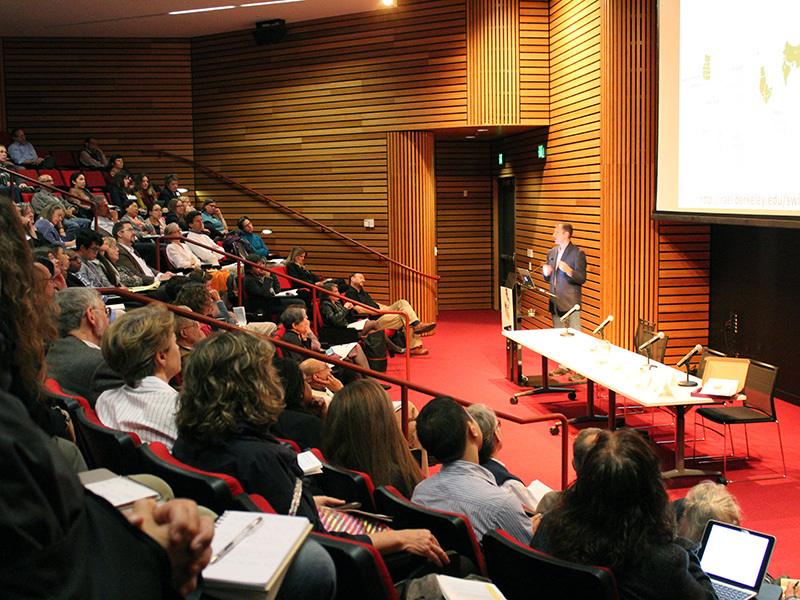 Throughout the day, the conference panels sparked a lively discussion by faculty speakers from the UC-Berkeley campus, who were joined by Sivan Kartha from the Stockholm Environment Institute, and the 200-member audience. Throughout the day, speakers explored the multidimensional relationships between inequality and sustainability. Kartha began by examining equity across countries in reducing global emissions, proposing a $20 per capita per day development threshold to define the distribution of responsibility, with countries above the threshold bearing the largest share of the burden. Over time, the U.S. and E.U. would bear less of the cost, while rapidly growing countries like China would assume more. Other speakers developed the equity rationale for taking action on climate change: in Rachel Morello-Frosch’s terms, the climate gap means that changes such as increases in urban heat will have a disproportionate impact on people of color and the poor, particularly in communities that are highly segregated by race and ethnicity. And Marshall Burke added that, because of heat impacts on crops, productivity, and political violence, climate inaction will slow growth, with negative impacts falling disproportionately on the poorest countries. Speakers suggested a broader definition of sustainability, arguing against one that focuses only on reducing carbon emissions. For Betty Deakin, this means dealing with rapid urbanization in the developing world, and the aspirations of urban in-migrants. Karen Chapple, Clair Brown, and Isha Ray framed the question in terms of Amartya Sen’s idea of capabilities, or how the environmental context can allow people to realize their potential. For Ray in particular, to attain sustainable development will mean capability enhancement for women and the poor, specifically, dealing with water, sanitation, and energy – “the backbone of a decent life.” This in turn shapes gateway capabilities, that is, the ability for women to be healthy, go to school, and avoid unpaid work. Ray disagreed with Kartha’s suggestion that sustainability and equity are mutually dependent and synergistic, arguing that sustainability in practice requires making choices among desirable goals. In the short-term, creating gender-equal pathways is a pre-condition to moving forward on sustainability. Many of the speakers addressed the contradictions of growing consumption and environmental goals. Kartha advocated for differentiating between basic emissions and discretionary consumption as the path to equitable effort-sharing. At the same time, consumption is a key development goal: Dan Kammen described a strong relationship between electricity consumption and economic opportunity and quality of life. Brazil illustrates the challenge of increasing consumption among a growing middle class. Pointing to the example of increased car ownership, Teresa Caldeira suggested the paradox of progress: the very programs that have lifted people from poverty have engendered an individualism that increases consumption and negatively impacts sustainability. As Brown pointed out, one way to address these contradictions would be to improve our measurement of economic performance or prosperity to incorporate quality of life, justice (inequality), and sustainability (as done, in part, by the Genuine Progress Indicator and the Better Life Index). From this powerful set of ideas, the question is, what are the right policies to pursue, regionally, nationally, and internationally? Kammen asked how we can create an equitable transition to clean energy that provides access to energy for an additional two billion people. Several speakers pointed out that the costs of regulation are not well understood. Carbon pricing is a powerful first step, but will need to take into account the differential social cost of carbon by region, according to David Anthoff. He proposed a system of equity weighting to distribute the environmental and social costs of policies across poor and rich countries. Margaret Taylor showed how regulatory impact assessments of minimum efficiency performance standards for appliances had consistently overestimated their costs, failing to anticipate how they would lower consumer up-front costs while increasing product quality. These in turn may disproportionately benefit the poor, who are most impacted by high energy prices. Peter Barnes argued that there is a crisis in how we manage our common wealth, and both market and government failure would continue to prevent the protection of the commons, especially natural capital. As a remedy, he advocated principles of trusteeship, preserving the globe’s various forms of wealth for future generations through ecosystem trusts that would collect payment for use of common wealth and distribute the proceeds to families as a dividend. California is in the middle of a grand policy experiment to reduce its greenhouse gas emissions, as described by Chair Nichols of the California Air Resources Board. Nichols pointed to the growing evidence that California is improving its air quality while also addressing the needs of disadvantaged communities. Zabin cautioned that green job opportunities had been overhyped in the past and that standards for job quality and access are needed to ensure that investments create good jobs and build a skilled workforce that performs the quality work necessary to accomplish the state’s ambitious climate goals. Morello-Frosch explained the potential of SB 535, the Community Benefits Fund, to identify and assist climate gap neighborhoods. Deakin argued for land use planning, as supported by SB 375, that would balance jobs, housing and services while reducing trip distance, but cautioned that such tools needed to be implemented with more attention to multiple travel modes and participation in planning. Chapple suggested an SB 375 2.0 that would deal with the rising land costs – since “livable cities are expensive cities” -- that lead to the potential for the displacement of residents and businesses. Morello-Frosch and Kammen demonstrated the power of measurement tools, from CalEnviroScreen, to CoolCalifornia.org, to shape policy and monitor its impacts. But Brown argued for redefining success itself through a revised GDP measure that accounts for consumption, inequality, nonmarket work and leisure, and negative environmental externalities; she suggested that California follow the lead of Maryland and Vermont in adopting such a measure. The ultimate challenge, however, is politics. In Brazil, progressive policies came about through the rise of a political constituency, organized in part by the Catholic Church. But Caldeira pointed out that a similar push for sustainability has not yet materialized in that country. Globally, increasing urbanization – and how it affects nature, the built environment, and society -- is helping to build a constituency, as Deakin showed. And as Kartha argued, the more equitable that the effort to reduce emissions is, the more countries will cooperate. In California, the politics are increasingly favorable, in part because of the broad support from diverse communities for climate change action – as well as the ability of California’s constituencies, such as the trade unions, to work closely with regulators, as Robbie Hunter pointed out. President pro Tempore of the California State Senate Kevin de Léon sees California as providing a new evidence base for how to reduce greenhouse gas emissions while growing the economy and reducing inequality. We are in the middle of a real-time demonstration on the world stage, with implications for the very future of the globe. The conversation, and action, must continue. The conference was made possible by support from the California State Legislature and the UC-Berkeley Vice Chancellor for Research. President Obama’s announcement that the Federal Housing Administration will lower the cost of its home loans by one-half of a percentage point (.50 basis points) should be very welcome news. Home loans will now be within reach for many more hard working and responsible families who have been left on the sidelines of the economic recovery. Further, low- and moderate-income borrowers, and black and Hispanic households in general, have a particularly hard time obtaining mortgage credit today. * The lower cost of credit for FHA borrowers moving forward means that more homes will be affordable for more people. That means an average annual savings of $900 on a typical FHA loan of $180,000 — meaning that up to a quarter million new home buyers will now, for the first time in a long while, be “in the money” to purchase a home. This also means that over the next several years, two million homebuyers will save on their monthly housing expense, enabling them to invest more in other aspects of their families’ future, such as education. Not only will individual families benefit from this new housing affordability, but a virtuous cycle is created that will begin to further stabilize neighborhoods and strengthen the overall economy. As a result of many actions over the past six years, the economy and housing market have made significant progress. Now is the time to share those gains and opportunities more broadly with the American people, while at the same time continuing to strengthen the housing market recovery. All of this is possible now because of the foundational changes to the housing-finance system initiated post-financial crisis by the Obama Administration. As a prime example, the Consumer Finance and Protection Bureau has put in place rules of the road that mean the dangerous and predatory lending products that led to the crisis can no longer be offered. 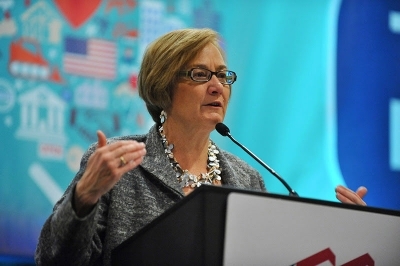 And FHA took its own steps to ensure prudent underwriting standards were put in place, along with a strong risk-management culture that has been embedded into the operations of the agency. FHA actions included raising mortgage insurance premiums to be sure that anticipated losses, plus reserves for unanticipated costs, are accounted for. Even after the reductions announced by the President, FHA mortgage premiums will remain 70 percent higher than before 2009. Further, because of underwriting and other policy changes made, the performance of loans being insured today (and in the last several years) is far stronger. FHA will still be charging more for much better loans than in the years before the crisis. All this means FHA can reduce costs for borrowers, while continuing to add substantially to its reserves and financial health. I know firsthand how hard it is to make rapid and complex changes to a large and important government agency like FHA. I am extremely proud of the work that has been done that enables these mortgage insurance premiums to be lowered. And I am even more proud of the FHA team that made it happen. Their work is government service at its best. A strong FHA can now, in turn, strengthen families, communities and the economy. * Sharygin, C. A. (2013). Class and Color in the Credit Crunch. Washington, DC: Urban Institute. In reality, while the economy is growing again and home prices are rebounding, many foreclosed properties remain unoccupied, and vacancy and blight continue to plague communities across the country. Beyond the impact of foreclosure on the families themselves, the neighborhood effects of vacant and foreclosed homes are numerous. 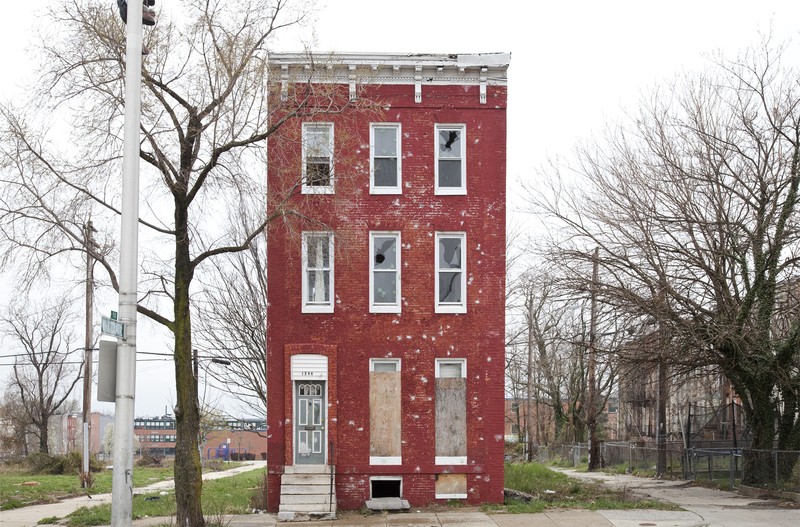 Blight poses a threat to a neighborhood’s social fabric, public safety, and aesthetics, and large numbers of vacant properties can lead to a reduction in city service delivery and infrastructure maintenance. Research also shows that concentrated foreclosures can reduce the property values of surrounding homes, leading to a loss of community wealth as well as stability. Earlier this year, I edited a volume of the Community Development Investment Review, a publication of the Federal Reserve Bank of San Francisco, which seeks to provide guidance to communities and non-profit organizations eager to tackle this nationwide challenge in their neighborhoods. 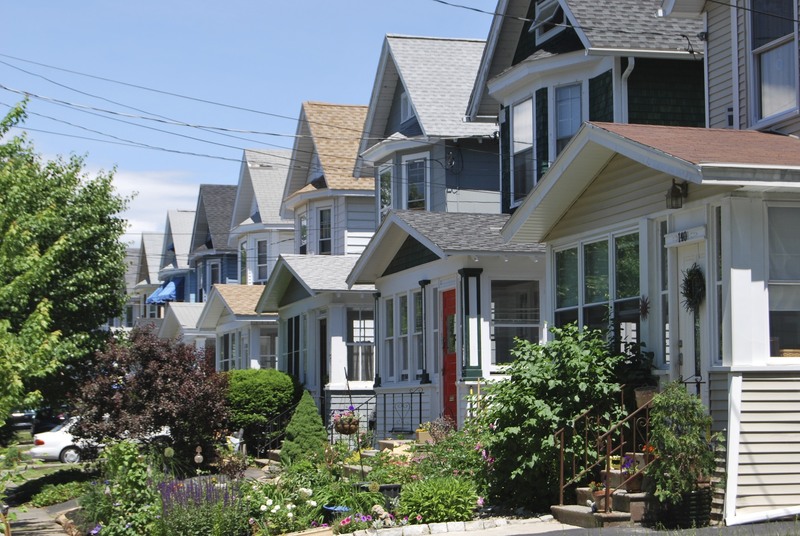 The volume explores innovative solutions and strategies for neighborhood stabilization and shares lessons learned from the Housing Partnership Network’s (HPN) 2011-2013 Innovations in Neighborhood Stabilization and Foreclosure Prevention Initiative. As communities and organizations continue to work to address the impacts of the foreclosure crisis on low-income and minority communities, the articles in this volume provide a wealth of insight and information derived from the actual practice of neighborhood stabilization. What will it take to produce an image of post-recession America that shines brighter than that of a boarded up home? One key is learning from nonprofit practitioners who are on the frontlines helping neighborhoods to restore occupancy and use of foreclosed properties. Is there common ground between planners and tea party, property rights, and other activists? On the heels of this recent election season, it is a good time to reflect deeply on how we are running public participation processes. How do legislative requirements like those for the SB 375 regional planning process in California help or hinder meaningful public engagement? What are the biggest challenges and opportunities for public engagement going forward? My research on the issue sheds some light on these questions. Public process design is critical when participants are ideologically divided and do not trust each other or the public agencies in charge. It can be important to seek out areas of common ground. For example, all of us in a process may not able to agree on whether climate change exists, but we might be able to agree that hybrid vehicles should pay their fair share for road costs. We may not be able to agree on whether high density housing is beneficial in most circumstances, but we could do joint fact-finding to assess impacts on property rights, property values and public services like schools, police and fire departments. My research on contested regional planning issues in the San Francisco Bay Area and in Atlanta, Georgia reveals surprising areas of convergence. 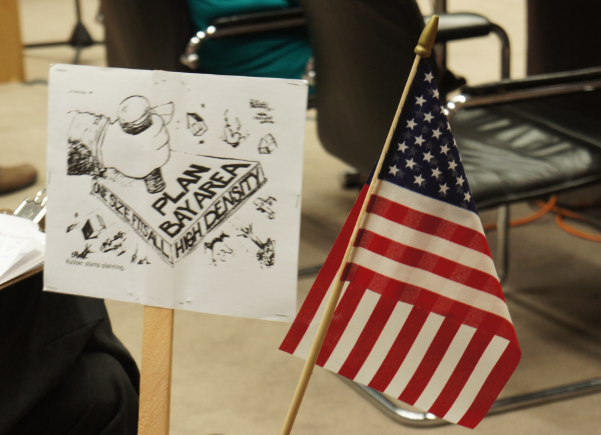 In the Bay Area, Tea Party and property rights activists came in force to block regional planning meetings run by the Metropolitan Transportation Commission and Association of Bay Area Governments to develop the region’s first Sustainable Communities Plan, known as Plan Bay Area. Importantly, these activists were not alone in opposition, as plaintiffs from across the political spectrum filed four lawsuits against the plan: two with some connections to property rights activists, one brought by the Building Industry Association Bay Area, and one by environmental organizations. And in the progressive left stronghold of Marin County, citizens not affiliated with Tea Party or property rights groups have voiced objections to the regional plan and to city plans that include higher density development areas in order to access regional funds available through the plan. In Atlanta, Tea Party and property rights activists led the opposition to a regional sales tax proposal before the voters in 2012. The measure would have dedicated half of the estimated funds generated to public transit projects. An unlikely coalition of strange bedfellows emerged: Sierra Club and NAACP leaders joined the opposition, in part because they felt the proposed transit projects were not the ones the area needed. Although it is hard to say what impact the coalition had on the measure, the tax failed badly with 63% of the votes in opposition. For more context on these areas of convergence, click here. A way forward for planning efforts when the citizenry are divided along ideological lines could begin with participants seeking to find areas of common ground like the ones outlined above. Participants could draw from the political theory of agonism to reframe their approach to civic engagement. In agonistic contexts, actors come to consider their opposition as legitimate adversaries rather than as enemies unworthy of engagement. In such moments, actors retain their core values and identities but may also find limited common ground with others, or agree to disagree. Group consensus is not a goal, but compromise through bargaining and negotiations may occur. While challenging, it may be worthwhile to incorporate processes that facilitate transitioning from highly antagonistic, counterproductive encounters to interactions of agonistic debate. Current law and practice push regions to adopt plans that can be vulnerable to lawsuits if they are supported only by weak consensus. Such plans may be barely able to hold together over time. We wouldn't ship a package long-distance in crumpled wrapping and fraying tape. Likewise, we need solid community negotiations to keep plans from coming apart. For more on the research discussed above, see Dr. Karen Trapenberg Frick's papers in the Journal of the American Planning Association at http://www.tandfonline.com/doi/full/10.1080/01944363.2013.885312 and in Urban Studies athttp://usj.sagepub.com/content/early/2014/04/07/0042098014528397. This article first appeared in longer form in California Planning & Development Report at here. Welcome to the IURD Blog! In the history of the Institute for Urban and Regional Development, which celebrates its 52nd birthday this year, the issues with which we are most deeply engaged have never been in such national and international focus. The conversation around the planning, design and development of cities and regions advances daily, and new ideas about resiliency, equity, and innovation are emerging from every corner of the globe. Here at the IURD, we have a team of world class faculty researchers immersed in these issues. We are producing first-rate research, adding to this national and international dialogue on issues from wealth inequality to data analytics, transportation to youth engagement, health disparities to local policy, all through the stimulating, and ever critical, lens of urban and regional development. We’ve turned to the blogosphere to join the virtual conversations already happening around these issues, and provide a portal into our own contributions. As one of the oldest urban think tanks in academia in the country, our library of research and resources is extensive and rich. This blog will be a gateway into what we’ve already learned, and an opportunity to learn about the newest research and ideas as they emerge. As a platform for engagement, this space is above all a conversation starter. We encourage you to get involved, share your thoughts, and connect with us. To start, we invite you to check out our centers webpages, follow us on twitter (@IURDBerkeley) or send us an email: iurd@berkeley.edu. We look forward to hearing from you!